The Royal Meteorological Society (RMetS) are launching their competition for the Weather Photographer of the Year 2019 on the 24th of April. There are two broad categories for this competition – Young Weather Photographer of the Year (17 and under) and Weather Photographer of the Year for over 17s. The RMetS are looking for the best photographs from around the world that depict weather in its widest sense. This could range from weather phenomena such as clouds, lightning, rain, fog and wind through to the impact of weather on humans, cities and the natural landscape. They are looking for stunning images that might be dramatic in what they depict or because of the story they tell of the impact of weather. The selectors will include a mix of meteorologists, photographers and photo editors who will look for work that combines photographic skill with meteorological observation. The 2018 competition was extremely competitive with over 4,000 photographs submitted from around the world. Since 2016, competition entries have doubled year on year. 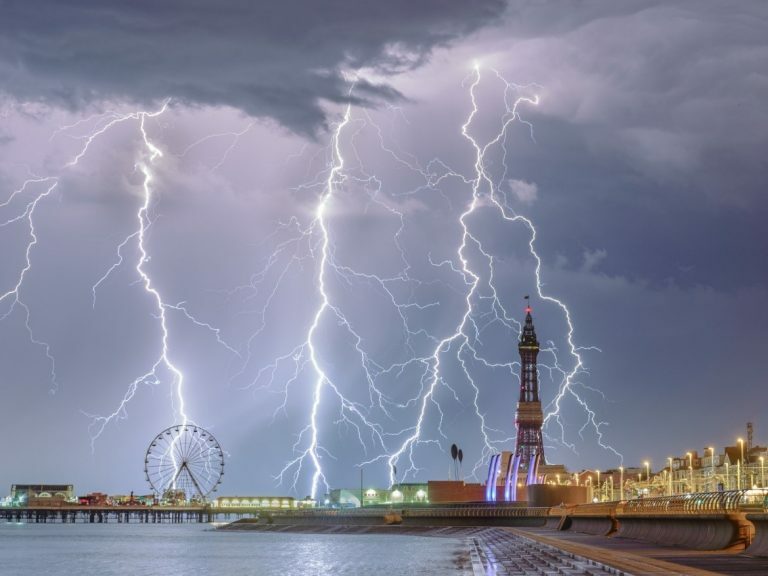 Our overall Weather Photographer of the Year 2018 was Stephen Cheatley with his entry, ‘Electric Blackpool’.